Private limo transfer from airport. 5 Nights in fully self-contained studio apartment. Dinner for 2 at award winning local restaurant. 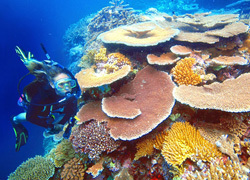 Luxury outer reef tour with small number of pampered guests, including gourmet lunch. Terms & conditions apply, contact Resort for further details. 6 pack of Red Bull. 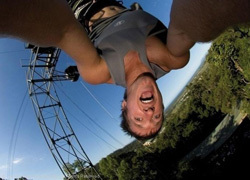 Bungy jump at world famous AJ Hackett. Full day extreme Tully River Rafting. 18 Holes at Paradise palms including motorised cart. 1 Hour relaxation body massage. Cruise and heli flight reef tour. 3 day car hire (budget car). 5 Nights in a fully self-contained 2 bedroom apartment. Full day outer great barrier reef tour. 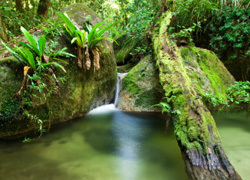 Cape Tribulation & Daintree rainforest . 7 Nights in a fully self-contained 2 bedroom apartment. Prices are excluding transfers and taxes where applicable. All packages can be tailored to specific requirements. Minimum ages may apply for some tours. Particular conditions may apply to some packages. Amendments of tours subject to availability. No cancellations/refunds of tours after arrival. * Based on 2 people twin share. ** Based on a family of 2 adults and 2 children aged 14 years or under. All rates are based on low season tariffs (rates will differ in High Season).